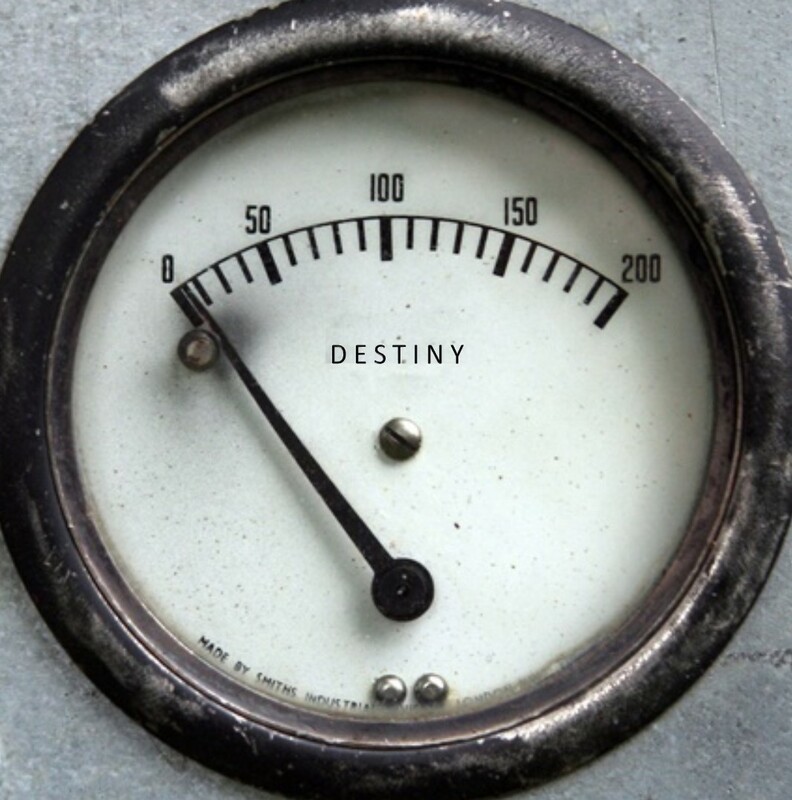 Some suggest that destiny is a predetermined path that our lives will follow. That we have no control over our destiny and there’s no escaping what we’re destined for. On the other hand, I’ve heard that destiny is completely ours to determine. Suggesting that we are the creators of our own destiny, and that we control the outcome of our own lives by the choices we make today. I’ve been trying to wrap my head around the concept of destiny for some time now, trying to align it with my belief that every person has potential for greatness. If there is such a thing as destiny, then there must definitely be more than one predetermined outcome. After all, we’re all beings with untapped potential, therefore we all have the opportunity within us to shape a great destiny. The outcome of our lives is on us and we are responsible for ensuring we reach a positive inevitable. So I reckon that destiny is on a spectrum: on one side of this spectrum we’re destined for greatness and on the other, lays an insignificant destiny. Where we land on destiny’s spectrum depends on how we live our lives today. For example, if I spend every day, every present moment possible in engaging my passions, building experience and skill, then I can pretty much gauge that I’m shaping a destiny toward an inevitable greatness. However, if I’m lazy, giving into procrastination, idly living, willingly lacking direction and not even attempting to make something of my life, then destiny’s gauge will naturally sway closer towards an inevitable insignificance. Basically, I think destiny offers several predetermined outcomes on a scale between insignificance and greatness. Our aim should obviously be to achieve the ultimate greatness we are destined for and it is the choices we make today, that determine how close we actually get to achieving it. It’s like every good decision we make sways destiny’s pointer towards greatness, and every bad decision we make sways the pointer back towards insignificance. Keeping this figurative scale in the forefront of my mind allows me to feel in control of my destiny, albeit inevitable. It keeps me motivated to work on my goals and forces me to mindfully make decisions, ensuring I secure a positive future. Ambitious I agree, but it’s like I’m making my own pact with destiny. Also, don’t forget that greatness is ours to determine, for instance what I deem to be great for me and my life, may seem insignificant to another. So long as we remain true to our identities and stand by what we want from life, we can guide our own inevitable. Think about it, to which destiny are you catering your life for? Are you navigating your life towards ultimate greatness or are you catering your life towards something insignificant? Remember you only have one life, so give yourself the opportunity to do something great with it. Posted in Decision Making, Mindset and Motivation, The Lions Life - Entire Collection.Tagged choices, decisions, destiny, future, greatness, identity, insignificance, insignificant, inspiration, life, Motivation, past, potential, present, procrastination, self-actualization, Success, time. Next Post Are Your Motivations Man-made?